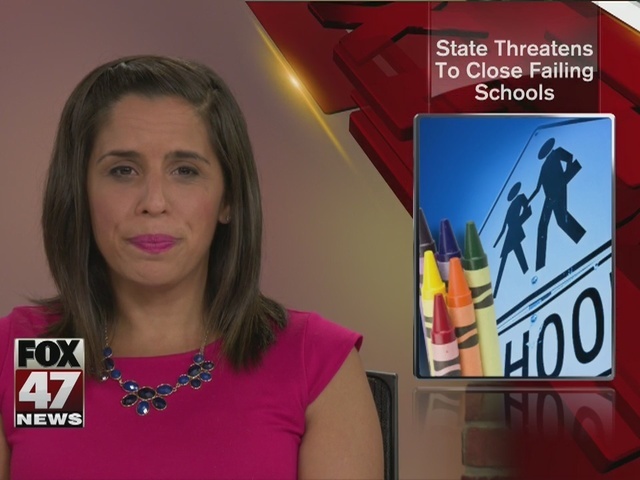 The state is threatening to close failing schools around the state. Wednesday, the Lansing School District started pushing back against the threat. 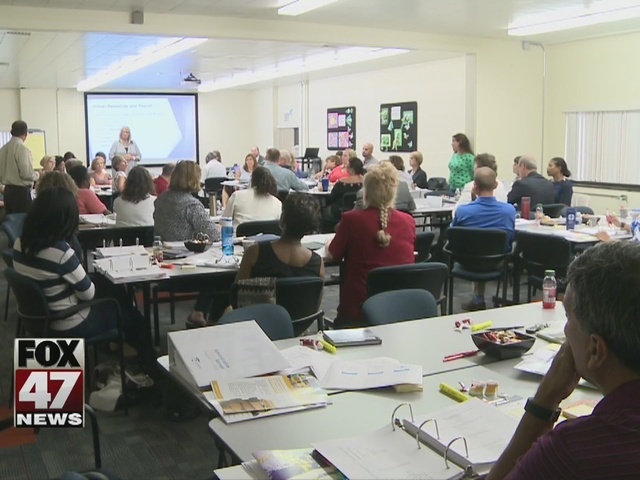 Eastern High School, Riddle Elementary, and Reo School are three of Lansing's nine schools on the priority list along with more than a hundred others around the state. All of them are listed in the bottom five percent, in terms of test scores, making them failing schools in the state's eyes. Current List of Priority Schools: More than 100 Michigan schools are listed as low performing. Superintendent Yvonne Camaal Canul disagrees with that characterization. "The school is not failing," Camaal Canual said. "There are, we have struggles in schools. But to say that the school is a failing school, meaning everybody in that school is failing is such an unfair characterization." Fair or not. The State School Reform Office is threatening to close them. "I want to make sure that first of all the State School Reform Office is not over stepping their authority by coming in and pretty much making a decision," said Camaal Canual. "I think a school board should be making. That's what local control is all about." The State School Reform Office is basing the possible closings on the last three years academic scores from MEAP and MSTEP. Scores Camaal Canual believes shouldn't be qualified, "the first year of MSTEP we were told that those data were not reliable and so they would not be used to penalize schools or to put them on a priority list." she said. "So now we really only one year of data and that was the year the school was identified as a priority school." Camaal Canul tells us she doesn't know if what the reform office is trying to do is the right course of action. She says as the stewardship for the district, she isn't going to let the state close her schools without fighting for them. "I just can't sit back and say, 'yeah go ahead and close the school,' i can't do that. I don't know any superintendent who would want to do it that way," said Camaal Canul. All of the schools that may close will be notified by the end of the year.